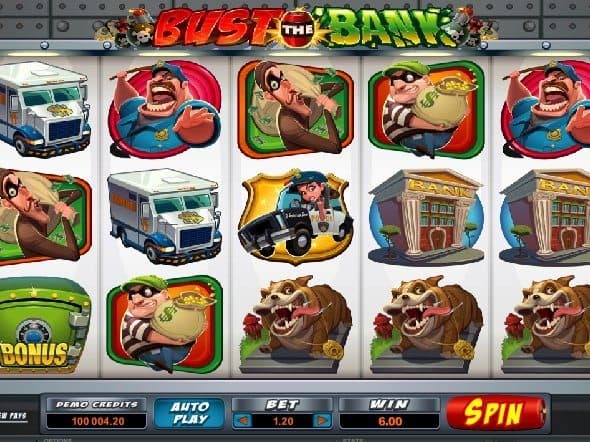 Fans of bank robbing slot machine games will essentially be thrilled with free Bust the Bank online slot machine for all the good reasons. The 5 reels slot has 243 ways to win but has no traditional pay lines. 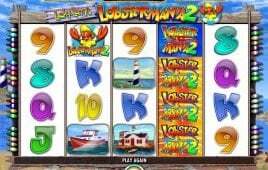 The online slot game comes with many varied features like ambulances, robbers, police, bombs and safes among others. 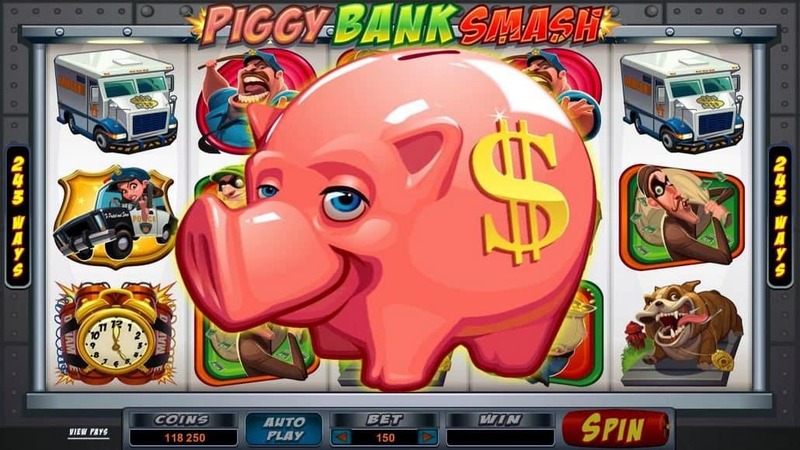 Unlike many bank heist slots, the theme of this free slot game is not based on the baddies. Rather, the game is presented from the viewpoint of both the robbers and cops. The cartoony look adds to the fun factor amidst a steel paneling backdrop. As there are 243 ways of winning, it mostly means that you would hit a winning combination as long as you match symbols in adjacent reels. 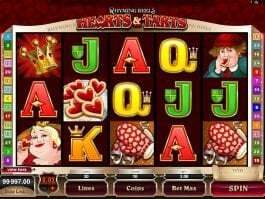 The online slot game offers many bonus features. If you land the green safe on reel five or one, you will open a safe door and get the coins. This is a minor bonus named safe bonus. Next is Piggy Bank Bonus where you need to land the piggy bank on reel three. The third bonus is Larry & Bob, the thieves that appear randomly and if that happens, you win a bonus. First, you have to select your coin value and start wagering. The green-cap robber is worth 1500 coins for a match of five, which makes it the highest paying symbol. Another robber, a female officer and an angry cop are the other highest paying symbols. However, the lowest paying symbols include an armoured car, the bank and an alarm clock. 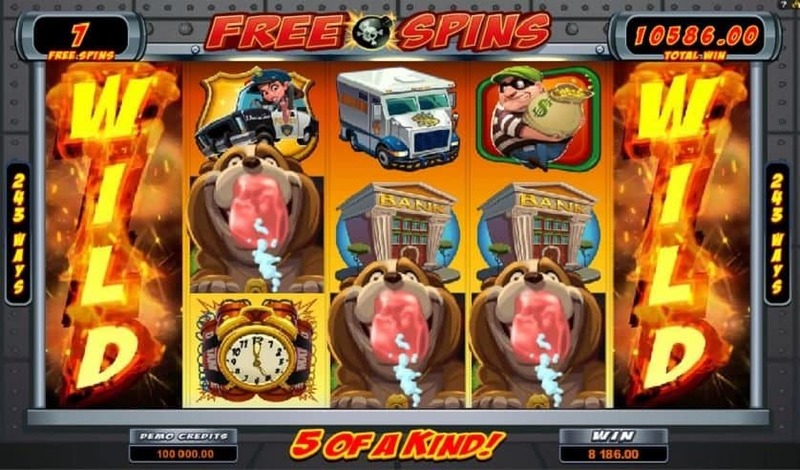 The title logo is the wild symbol and a bomb is the scatter symbol of this free online slot. Bust the bank slot also has free spins, which gets activated when you land 5, 4 or 3 bomb scatter symbols in any position of the reels. 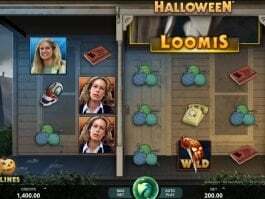 This bonus provides your eight free spins and reel 5 and 1 act as wild during this phase. You can also win an extra spin if you land any scatter during the bonus round. The coin value ranges from 0.01 to 1. Per spin you can stake between 1 and 10 coins. 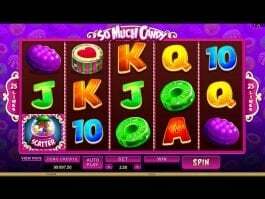 Everything about this slot machine game is just awesome and you will be fascinated with everything associated with the slot game. 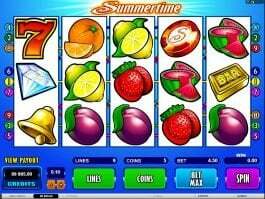 The free online slot machine offers players 243 different ways of winning. You can be sure that big winnings certainly await you as you play Bust the Bank online. 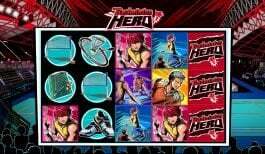 Other similar games include Break Away and Bulls Eye slot games.